Andrew concentrates his practice in the areas of commercial real estate transactions, development, financing and leasing. He negotiates leases with national tenants on behalf of a real estate investment trust (REIT) owning or operating nearly 100 large, regional shopping centers across 29 states. Andrew also has experience with the development, leasing and disposition of peripheral commercial properties. In addition, Andrew assists with business organizations, commercial lending and general corporate matters. He has experience working with community and regional banks in loan transactions secured by real estate. 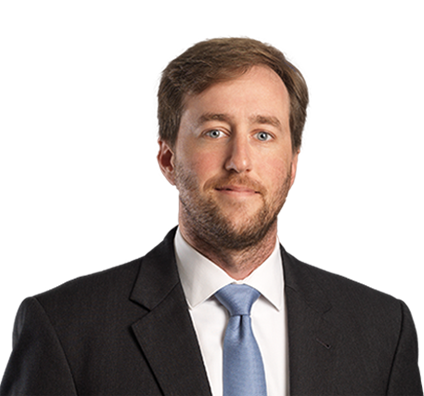 Before joining the firm, Andrew worked in-house as a clerk for a large, regional credit union and served as a deputy clerk for the Shelby County General Sessions Court. Negotiated sale agreements for and closed the individual sales of ground leased outparcels, located next to regional shopping centers and totaling more than $58 million in gross proceeds. Served as local counsel on loans backed or partially backed by Tennessee commercial real estate with total loan proceeds exceeding $2.65 billion. Conducted due diligence on a $192 million acquisition of a Tier 1 open-air mixed-use center that generates over $200 million in annual sales. Negotiated space leases and ground leases with national and regional tenants for nearly 200,000 square feet of retail space. Assisted with a $5 million loan transaction for the purchase of a regional strip center. Assisted with a $3 million loan transaction secured by more than 75 residential properties across the State of Tennessee. Assisted with the acquisition of a multi-million dollar agronomy business. Negotiated leases with first-time portfolio tenants to open in an anchor redevelopment. Negotiated the contract for and closed a $1.2 million leasehold interest buyback and assignment of lease of a 77,000 square foot anchor space. Conducted title review and due diligence for multi-megawatt wind energy farms across the Western United States. Conducted REIT-sensitive lease review of over 45 commercial leases in connection with the purchase of a large, regional open-air shopping center. Andrew enjoys travel abroad, visiting 14 countries so far. 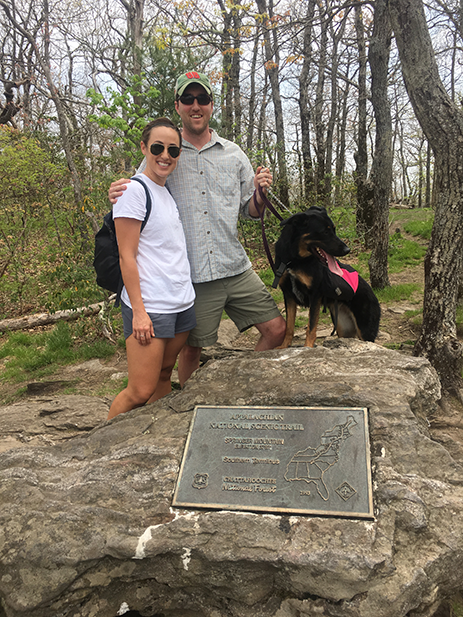 In Chattanooga, he hikes, kayaks, camps and finds new swimming holes with his wife, Callan, and their dog, Frau. When not out of the country or outdoors, you’ll likely find him with a cigar, listening to the Grateful Dead, watching the Tennessee Vols or Liverpool F.C. Callan, Andrew and Frau on the Appalachian Trail. 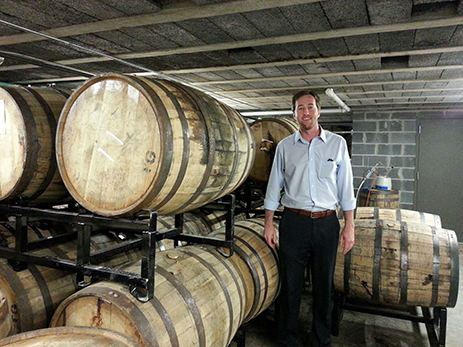 At the Chattanooga Whiskey Experimental Distillery. 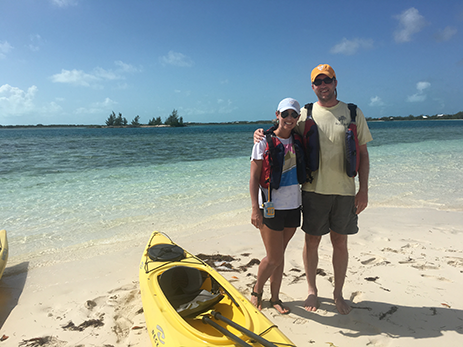 Callan and Andrew kayaking the mangroves in Turks & Caicos. 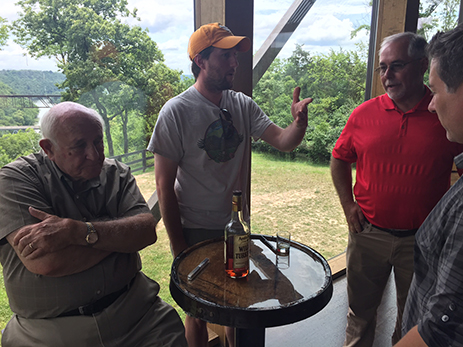 With former and current master distillers, Jimmy and Eddie Russell, and an early-1980s bottle distilled by Jimmy–Lawrenceburg, Kentucky. 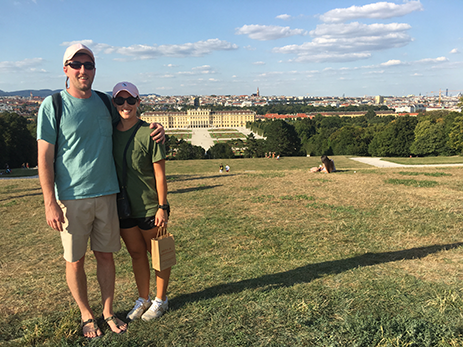 Andrew and Callan at Schönbrunn Palace, Vienna, Austria.